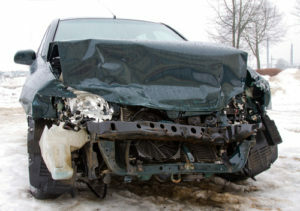 You do not have to be a car owner before you become a victim of a car crash. Many victims of this ugly incident are people who are unfortunate to be in the car during the mishap. This incident breeds pain, loss, shame, and hopelessness. Usually, there is a lot of recoveries to be done and this recovery could take several months or years. In fact, in so many instances, things cannot just return to how they used to be. The only way to encourage auto crash victims is to compensate them and to restore their sense of belonging. This compensation process can be initiated by a credible and reputable legal outfit, which is why it is recommended to hire an experienced auto accident attorney in Santa Monica to represent you if the need arises. Rawa Law Group is one of the best legal entities that work towards maximizing your accident claim settlement. Our clients get personal, one-on-one attention from a qualified lawyer and we offer relentless, tireless, advocacy for the injured. Also, at every stage of the legal tussle, we brief you of events as they unfold. Rawa Law Group offers impeccable and affordable legal assistance for auto accident victims in Santa Monica. If you or a loved one have to get across to us, you do not have to worry much as we have set aside flexible hours for appointments. Also, we can be reached via the contact details written below. At Rawa Law Group, we pride ourselves in putting smiles on the faces of all injured persons.